"There are lots of books on leadership, but there are precious few true leaders who have the depth of leadership experience and wisdom of Phillip Van Hooser. In Leaders Ought to Know, Phillip shares lessons born of his experience both as a leader and as a trusted advisor to leaders for over twenty–five years. I don′t recommend books lightly, but I absolutely recommend Leaders Ought to Know as a must–read for any leader or those who aspire to be leaders." "Leaders Ought to Know is the perfect book about leadership skills written by a guy who knows leadership inside and out. Forget about theory this is all stuff that can be used today, tomorrow, and forever. Phillip looks at issues that may seem complex and breaks them all down into manageable steps that lead to success. You will learn how to ratchet up your performance and in tandem build the skills of the folks on your team." "Phillip Van Hooser lays out a ′flight plan′ that will navigate and guide you to your destination in leadership terms. Leaders Ought to Know is well worth the read and validates and expands on my experiences in leadership roles over many years." "This is the book that every follower wants every leader to read and apply. 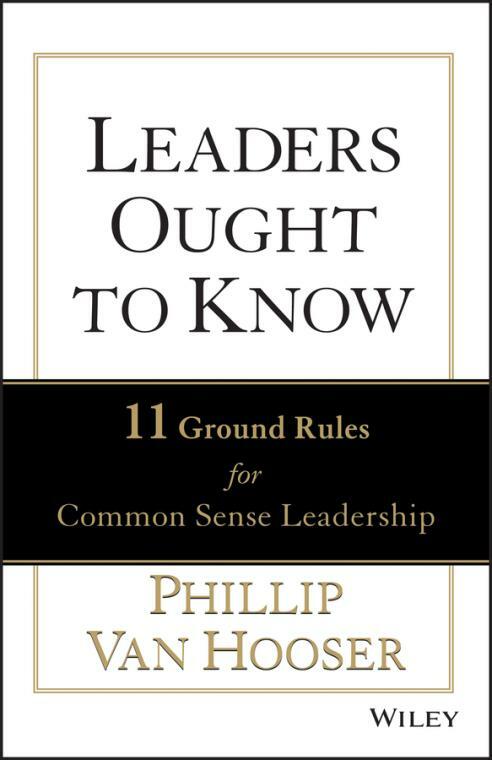 Leaders Ought to Know is filled with Phillip Van Hooser′s practical, commonsense wisdom. Don′t just read this book, pull out your highlighter and study it. You and those you lead will be more successful and satisfied because you did."